Just as you will rarely (if ever) hear someone say, “I can’t wait to go to jury duty!” or “I wish I could spend all day at the dentist’s office,” it’s also extremely unlikely that someone would admit that they’re looking forward to the process of probate. Lengthy, tedious, and costly, probate administration is clearly unappealing. Plus, it’s often unnecessary. If you don’t want to burden your friends and family after your death, make your estate’s administration a matter of public record, or incur unnecessary costs and delays, learn how to avoid probate today. It’s simpler than you might have thought! 1. Work with an attorney. Estate planning can be complicated and if you want to ensure that your plan is lawful and will successfully enforce your final wishes, you need to work with a pro. Contact an attorney experienced in this area of law, so that you can feel confident heading into your sunset years. Your attorney can help you reduce or eliminate the probate that would otherwise occur after your death. 2. Create a revocable living trust. Generally, a revocable living trust eliminates the need for formal probate administration. Although you will still need to select a Trustee to properly administer the trust after your death, your estate won’t go through a lengthy, costly, and public probate process. 3. Convert your financial accounts to pay-on-death accounts. Bank accounts and retirement accounts can be converted to payable-on-death accounts through a very simple process. Using the form provided by your financial institution, you can simply list a beneficiary for the account. When you pass away, your money will be paid directly to your beneficiary, bypassing probate. In some states, you can also use this process for security registrations, vehicles, titles, and even real estate deeds. 4. Use joint ownership of property. If you own property jointly with another person, upon your death, the property will automatically pass to the surviving owner with no probate process needed. Ask your attorney about “joint tenancy with right of survivorship” to learn more. 5. Give gifts. Before your death, you can protect certain property from probate by simply giving it away. After all, only assets that you own at the time of your death will pass through probate. Some gifts are exempt from gift and estate taxes, but others are not (for example, you can give an unlimited amount of property to your spouse so long as he/she is a U.S. citizen). Discuss the gifts you plan to give with your attorney if you want to avoid both probate and taxes. Although trusts are the most well-known and popular method of avoiding probate, you do have other options. Payable-on-death accounts, joint ownership of assets, and gift giving can also be useful, though in all of these cases you will need to work with an attorney to ensure that you’re following the law and creating a successful estate plan. A little planning goes a long way! Are you hoping to avoid probate through strategic estate planning? To learn more about your options, contact the attorneys at Carnahan, Evans, Cantwell & Brown if you live in or near Springfield, Missouri. 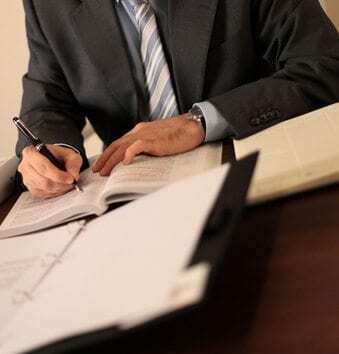 Our Estate Planning Group would also be happy to assist you in all aspects of probate administration, from initiating the process to preparing and filing accountings with the court. For more information, please give us a call at 417-447-4400. We look forward to hearing from you!